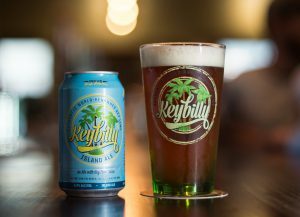 Brew Hub Taproom features our own hand-crafted beer collection including Keybilly Island Ale, Diver Down Red Ale and Rome City IPA, which was awarded a gold medal in the Session India Pale Ale beer-style category at the 2017 Great American Beer Festival. We serve beers from our 14-plus Partner Brewers, marking the first time these and several additional craft brands have be available in St. Louis. We feature a 4-barrel pilot brewing system, a distilling operation and a barrel-aging program, under the direction of Brew Hub’s chief brewer Jim Ottolini. This set up allows us, our partner brewers and other local brewers the ability to work on unique and nontraditional batches in a small and intimate setting. In addition to the 20 beers on tap, Brew Hub Taproom has a full-service kitchen offering lunch and dinner. Our chef combines good beer and good food. The menu consists of sharable small plates and heartier fare with ingredients sourced from local farms. Join us for a few beers and a few bites of really good food.